Replacement chainring with 52 teeth, for Ultegra FC-6703 3x10-speed crankset. Replacement chainring with 39 teeth, for Dura Ace FC-9000 11-speed crankset. Replacement chainring for 1x12-speed drivetrains. Replacement sprocket wheel with 17 teeth for Shimano XT 11-speed cassette CS-M8000. 2x11 Speed klinger til Shimano Dura Ace FC-9000 kranksæt. 2x10 Speed klinger til Shimano Ultegra FC-6750 kranksæt med BCD ø110mm. Chainring for FC-M590 crank. 36 teeth. 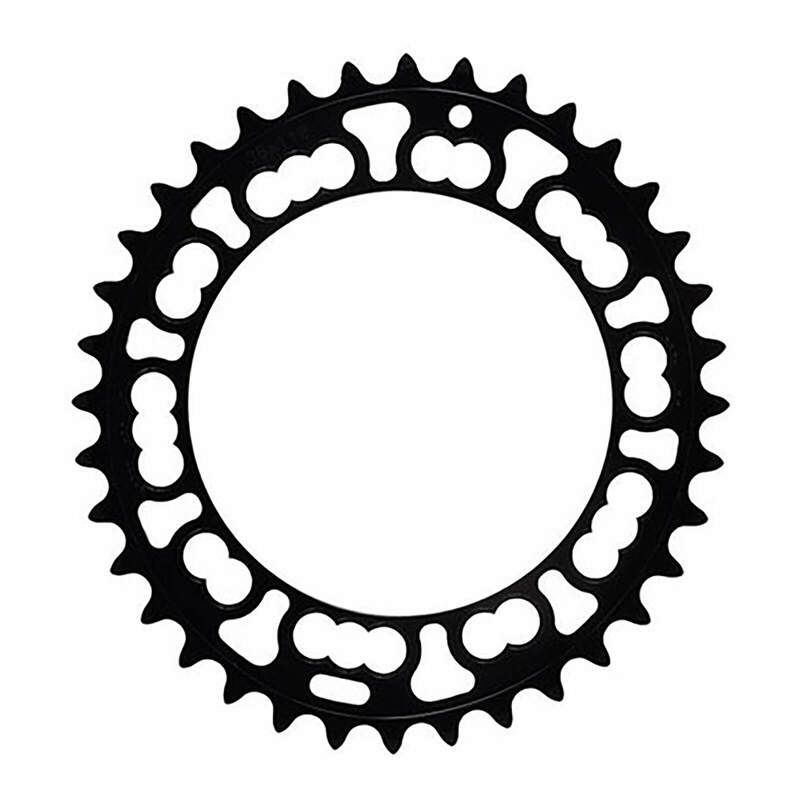 Chainring for Shimano Deore FC-M590 crank with 44 teeth. Replacement chainring with 46 teeth, for Ultegra FC-6800 11-speed crankset. Replacement chainring for SLX 3x10-speed FC-M670 crankset with 48/36/26 teeth. Replacement chainring with 52 teeth, for Dura Ace FC-9000 11-speed crankset. Lightweight, stylish, modern look using the proven system technology of SHIMANO. Steel chainring bolts for the inner chainring. Stamped and afterwards CNC machined 7075/T6 alloy chainring. For Shimano/SRAM 11-speed. Replacement chainring for Deore 3x10-speed FC-M6000 crankset with 40/30/22 teeth. 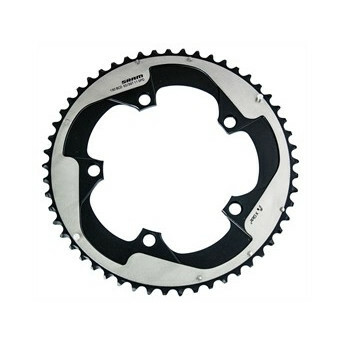 Shimano replacement chainring for 105 FC-R7000 11-speed crankset (MW) with 53/39 teeth. Shifting performance has helped Full Speed Ahead to become a world leader for high-end chainrings. Passer til kranksæt med 2 klinger og kan bruges med en lille klinge på helt ned til 34 tænder. Shimano 40T klinge . Til FC-M7000-3 (40-30-22T) kranksæt . 10 speed. BCD mål: 96 mm. SRAM narrow/wide klinge til kranksæt med 1 klinge og kassetter med 10 eller 11 tandhjul (speed). Absolute Black Oval Premium Klinge . Fixmål 110 mm. 5 huls med skjult klingebolt. .
Large chainring with 36 teeth and long Pin for 2x10-speed MTB cranksets. Cassette lock mounting/removal tool for HG/IG nuts and Centerlock rings. Replacement chainring with 24 teeth, for GX 2x11-speed crankset. Campagnolo inner chainring for Potenza 11-speed, 110mm, 5-arm compact (CT) cranks. Ægte Shimano Deore udvendig klinge (M530). Ægte Deore reserveklinge fra Shimano. 4 bolt klinge egnet til Shimano XT M760/Saint M800 kranksæt. Til brug med Shimano 105 FC-5703 1-speed tredobbelt kranksæt - 50-39-30T. Shimano Claris chainring for the FC-R2000 2x8-speed crankset with 110 mm BCD and 4-arm spider. Sram X01 chainring for Sram X01 cranksets. A high-quality and reliable direct mount oval chainring. FSA Klinge Pro med Standard BCD(Bolt Circle Diameter) Ø130 5-huls - Sort - N10/11. Replacement sprocket with 14 teeth for Shimano CS-M771-10 10-speed cassette. Ægte Shimano XT erstatningsklinge til FC-M782 kranke. Tretleistung feinabstimmen für intelligenteres Fahren. 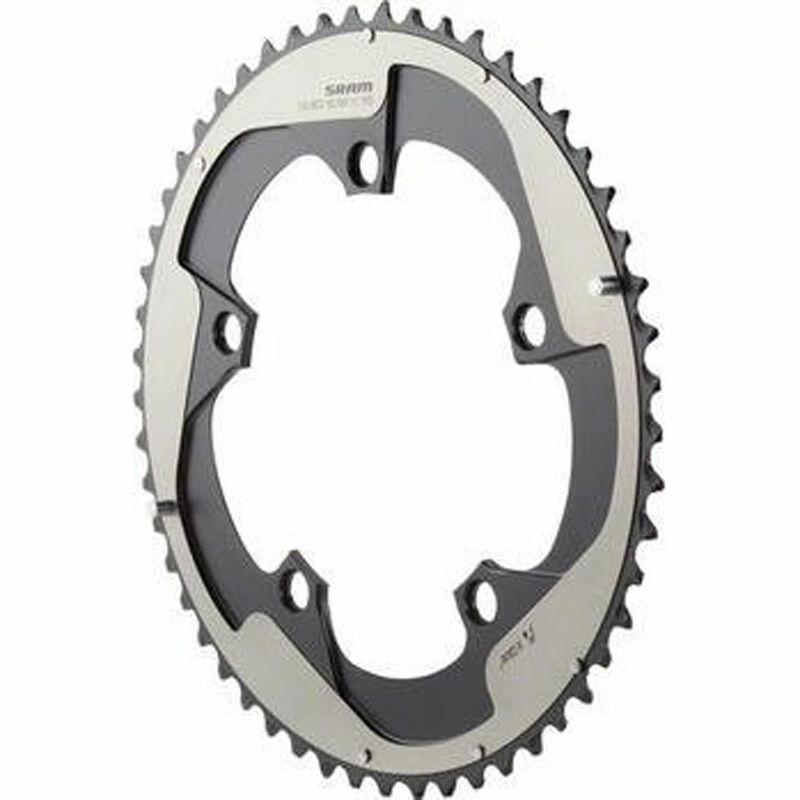 Shimano replacement chainring for 105 FC-R7000 11-speed crankset (MS) with 50/34 teeth. SRAM Klinge med BCD ø130mm til 2x10 speed. SRAM Road chainring with 50 teeth and 110mm bolt circle. Compatible with Red, Force and Rival. CT2 udgave der er Stronglights konkurence/løbs kategori og dermed deres letteste og mest præcise. Klinge fra Shimanos Sora R3000 Gruppe, der er endnu lettere og mere præcis end tidligere grupper. 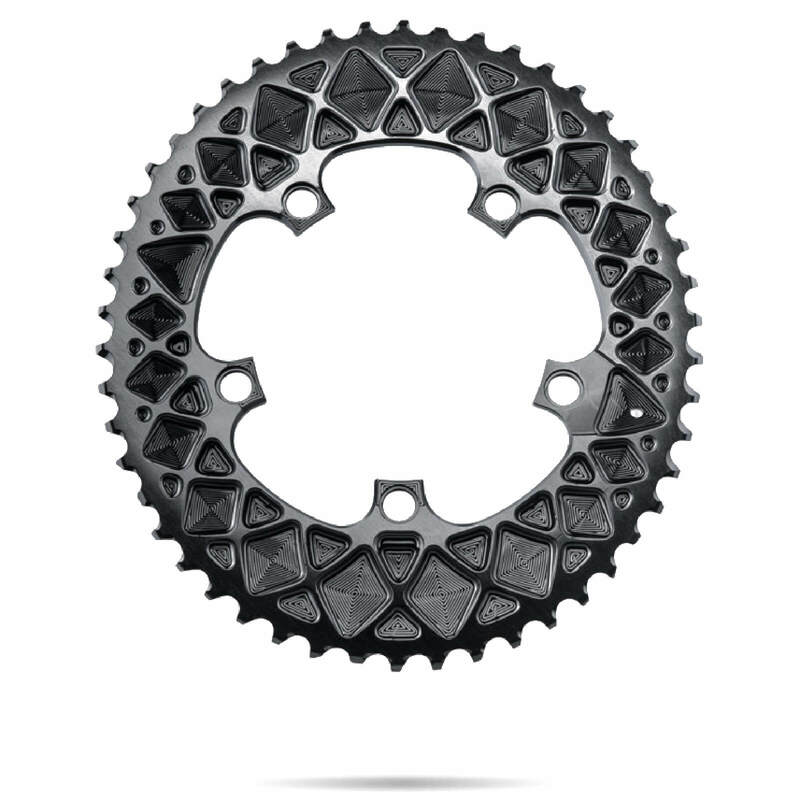 This superb chainring is specifically designed for use with Brose MTB E-bike drivetrains. 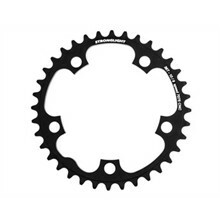 Replacement chainring for Dura Ace 11-speed FC-R9100 crankset (MT)with 52/36 teeth. SRAM Red 22 X-Glide R Yaw Klinge 53T Ø130 11 Speed. Passer til BB30 og GXP kranksæt. 2x11 Speed klinger til Shimano Ultegra FC-6800 kranksæt. Replacement chainring with 42 teeth, for Dura Ace FC-7900 2x10-speed crankset. 10-speed 30 tands racerklinge fra Shimanos næsthøjeste racergruppe - Ultegra. Sølv udgave. Ægte Shimano Dura Ace 7950 reserve klinge. Special tool for adjusting the rear derailleur. Replacement chainring for SLX 2x11-speed FC-M7000 crankset with 38/28, 36/26 and 34/24 teeth. Shimano 5-hole chainring for the 2x9-speed FC-R3550 crank. Different options. 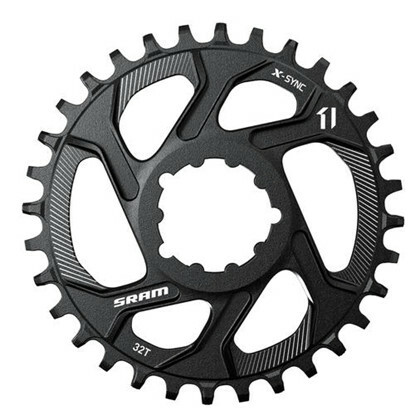 SRAM MTB XX1 chainring with 28 teeth and 76mm BCD for XX1 crank.